Bandai Namco are teaming with Square Enix for a fun Virtual Reality experience based upon the legendary Dragon Quest RPG series. The Dragon Quest VR event will allow players to choose a class from Warrior, Mage or Priest, then, armed with choice from a selection of weapons, fully immerse themselves in the Dragon Quest universe, ultimately leading to a battle with boss character Zoma. The presentation will be hosted at VR Zone Shinjuku in Tokyo on April 25. Anyone who may be in town and wishing to reserve a slot will have to apply via the official site. Applications go live five days before, on April 20. 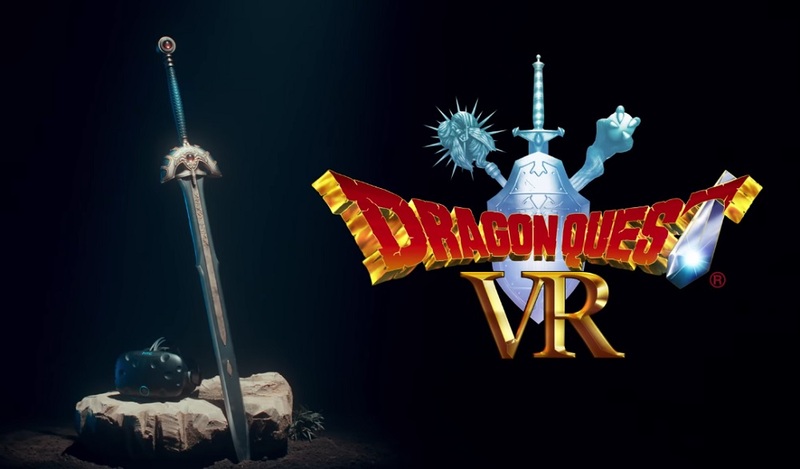 While the chance of many of us checking this VR trip out is kind of unlikely, the Dragon Quest world would be a pretty cool place to hang out. I'm sure, at the very least, it'll be more fun than early '90s Virtuality adventure Legend Quest. This is the same arcade where Mario Kart VR is hosted. Our man in Japan will be there in April to review this as well!